You won’t find a larger selection of wetsuits from all the best brands anywhere online. We have all your requirements covered, no matter which water sport you participate in. Purchasing a good wetsuit is one of the most important investments when spending time in cold water. We make sure we pick the best neoprene from all the best retailers online, so you find the right wet suit. You can find useful wetsuit reviews which give you an unbiased opinion on which wetsuits are worth the cash. We surf and use the equipment which we review. Our neoprene friends have been around now for a very long time, it was Jack O’Neill who invented the very first surfing wetsuits back in the 1950’s. Back in the days before the wetsuit, people would resort to such extreme measures as coating themselves in layers of lard to keep warm. Thankfully, we no long have to endure such extreme measures to score a wave in cold water. Today’s neoprene is super lightweight, give maximum warmth and performance compared to bygone days. There are many different types and thicknesses of wetsuit on the market. Depending on which water sport you participate in, and in which season of the year will determine which wetsuit is right for you. 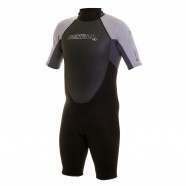 For example, surfing wetsuits are very different to diving wetsuits. This is because diving wetsuits are made with higher density neoprene compared to the surf variety. Due to the high pressure diving wetsuits are subjected to at low depth is why higher density neoprene is used. The higher density neoprene stops the neoprene thinning under pressure over time. Flexibility in a surfing wetsuit is very important, so the use of less dense neoprene is used. Using a surf wetsuit for diving is not suitable at great depths.